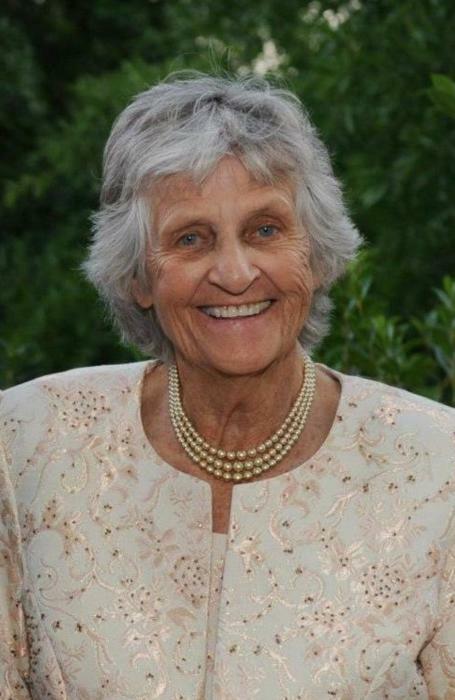 Rose Rowold Gore, 89, passed away peacefully at home surrounded by family on April 13, 2019. Rose was born in Atlanta, GA on October 15, 1929 to Arnold and Laura (Warnke) Rowold. She graduated from Girls’ High School in Atlanta and always made an effort to attend her class reunions. She remained close friends with many classmates throughout her life. Rose married Donald Gore in Atlanta, Georgia on September 14, 1952. They spent many years in South Florida where Rose was a homemaker and loving mother to three daughters. Rose was an energetic volunteer throughout her life. She was a Girl Scout troop leader for over a decade, and was very active in the Women's Club who named her “Girl of the Year” in 1964 for her outstanding leadership and service. Rose was a faithful Christian and a beloved member at Our Savior Lutheran Church in West Palm Beach, FL for thirty-nine years and at Faith Viera Lutheran for the past thirteen years. Throughout her life, she served faithfully as a church organist, choir member, and VBS teacher. She was also active in the Lutheran Women’s Missionary League. In her spare time, Rose loved golfing, playing cards, and spending time with her many friends. She had a wonderful sense of humor and was a delight to be around. Her grandchildren want to express that their lives will not be the same without Grandma Rose’s support and encouragement. It is impossible to put into words how much her love shaped them, but they will always cherish their memories of her. Rose was preceded in death by husband Don and daughter Marie (Al) Fernandez. Rose is survived by her daughters Karen (Gary) McGhan and Suzanne (Mark) Seager, ten grandchildren, and nine great-grandchildren (with a tenth on the way). A memorial service for Rose will be held at 11 a.m., Saturday April 20, 2019 at Faith "Viera" Lutheran Church, 5550 Faith Dr, Rockledge, FL 32955. In lieu of flowers, donations may be made to Lutheran World Relief (P.O. Box 17061, Baltimore, MD 21298-9832) or Faith Viera Lutheran Church (5550 Faith Drive, Rockledge, FL 32955).